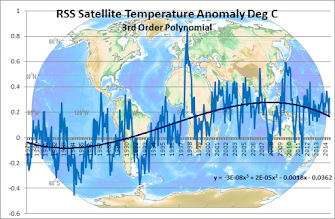 Climate Common Sense: The Great Carbon Caper- Part 2! 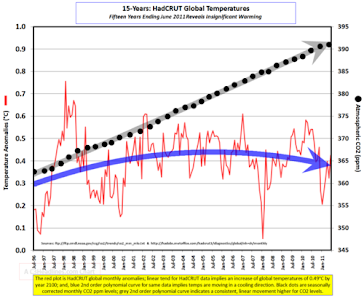 As reported previously the AGW Scam ,bloated with tax-payer dollars ,has attracted scammers like blowflies around a rotting carcass. Unfortunately these professional scammers are smart ,which differentiates them from the dim-wits looking after the UN administered Global Warming piggy bank. The latest effort as reported by Christopher Booker involves Chinese and Indian companies producing CFC's which the UN then pays them billions of dollars to destroy. I repeat that the UN is way past it's use-by date and should be disbanded so the funds wasted could be channeled directly to where they are desperately needed. I find it hard to believe the people who originally proposed and set up this scheme, which has now become a scam, were so naive they could not for foresee this happening. Unfortunately, this can only lead me to draw one sad conclusion. They are equally culpable and have been right from the start. What are the collective Auditor Generals doing about this and where are the mandatory audit processes that are supposed to oversee all government spending of this magnitude? Where are the mandatory standards and standards enforcement processes that apply to almost every other area of government expenditure? If this fiasco is an indication of what is going on, it would appear the foxes are well and truly in charge in the hen houses!! I agree completely Teejay - the lack of worldwide publicity for this is surprising! Could it be that the Auditors General are leading the scam? Another example of how the western world is happily self-destructing and the Asian powers gleefully give us all the rope we need to hang ourselves. you are really a just right webmaster. The site loading velocity is incredible. It seems that you are doing any distinctive trick. In addition, The contents are masterpiece. you have performed a great task on this subject!